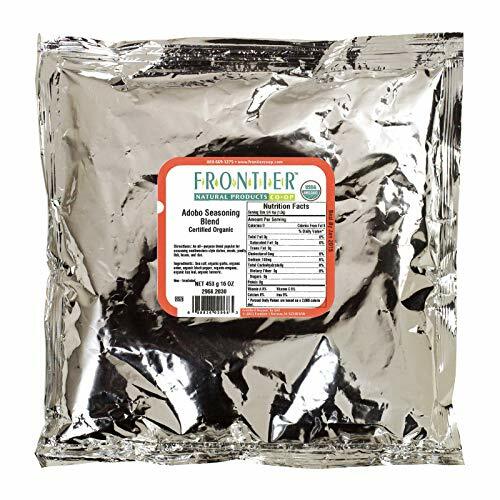 Frontier Herb Organic Adobo Seasoning, 1 Pound -- 1 each. Literally meaning seasoning or marinade in Spanish, Adobo seasoning is an all purpose ethnic blend quickly gaining popularity in southwestern dishes. Our Adobo seasoning features the perfect blend of garlic, onion, and black pepper, along with several other supporting spices. Use to add depth to meats, poultry, fish, beans, and rice dishes.